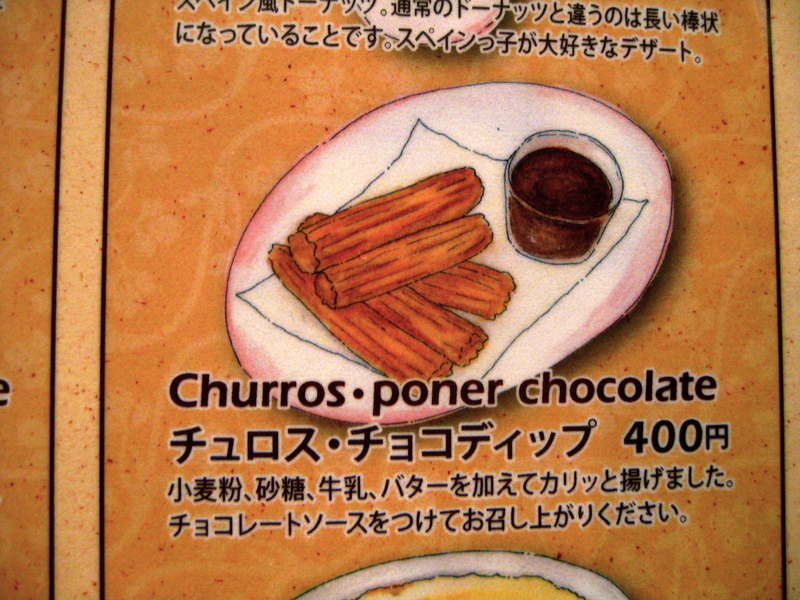 I have often asserted that everything tastes better in Japan. 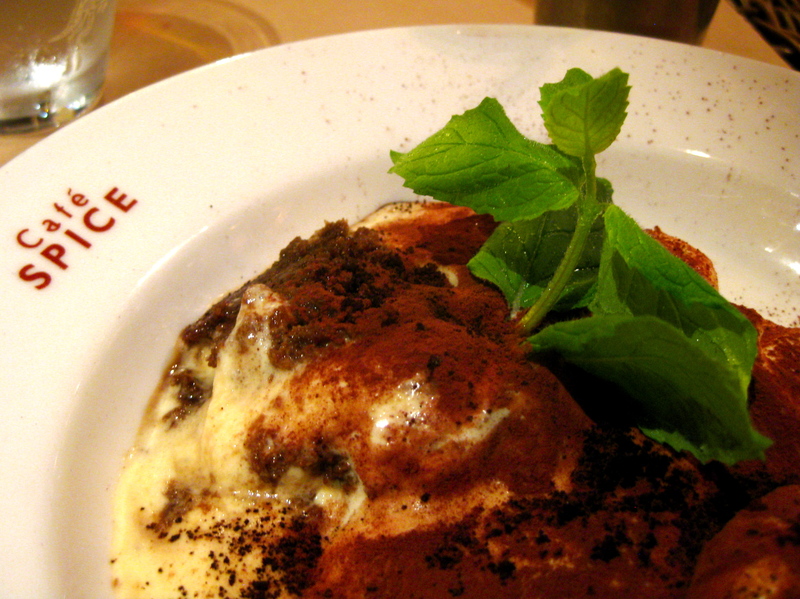 Even Italian food. 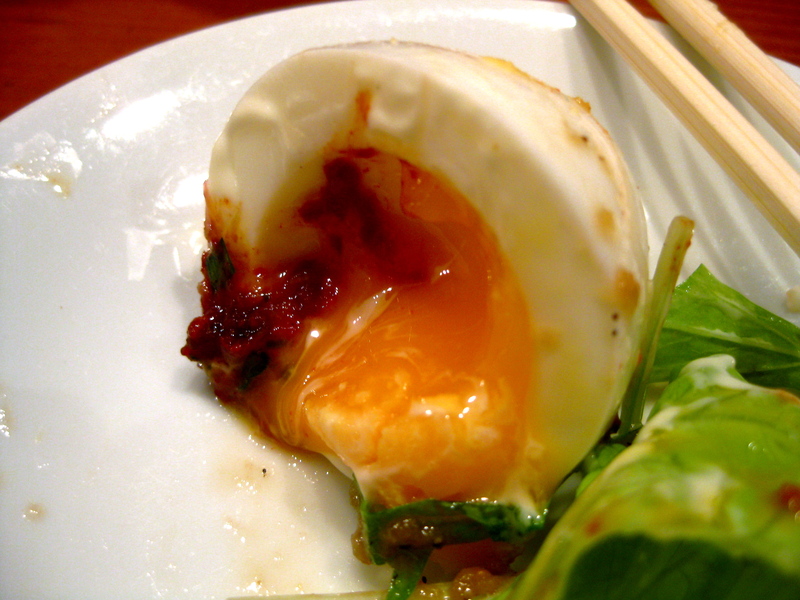 I stand by my claim that it is rare to encounter a meal at a Japanese restaurant that is mediocre, let alone unsatisfactory. 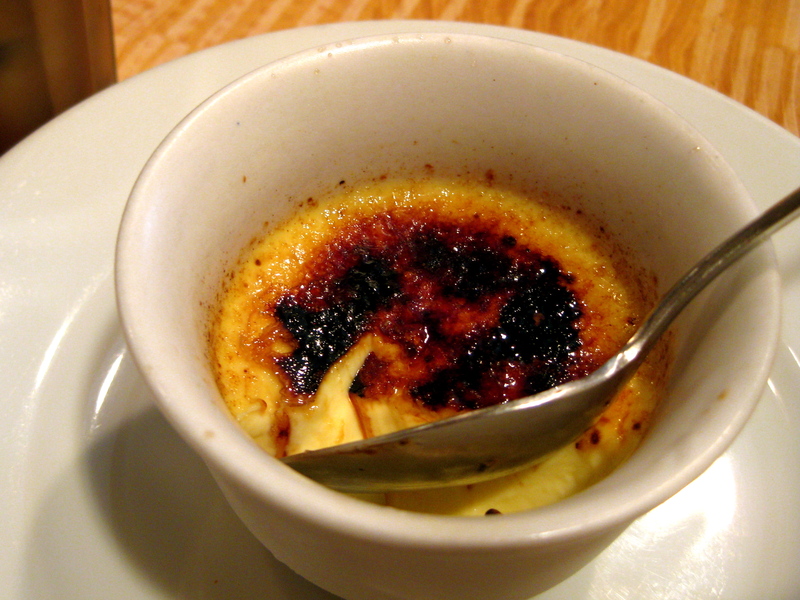 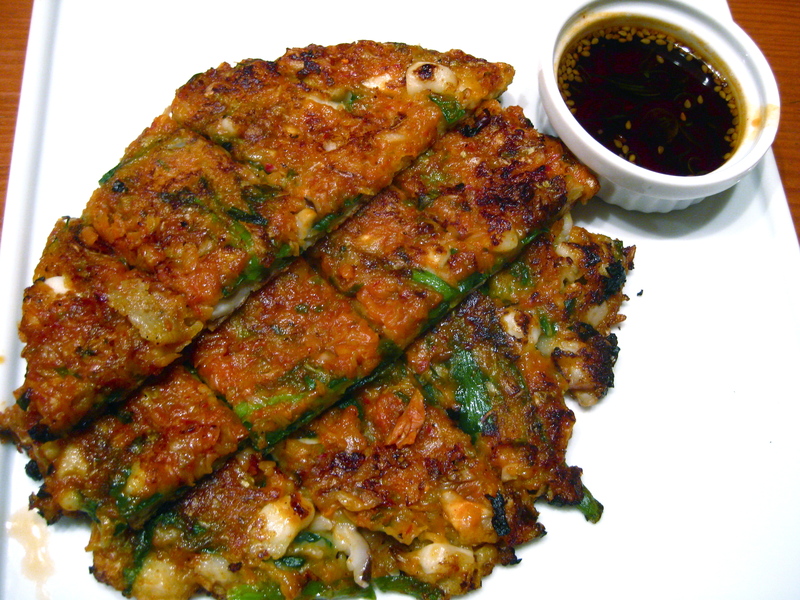 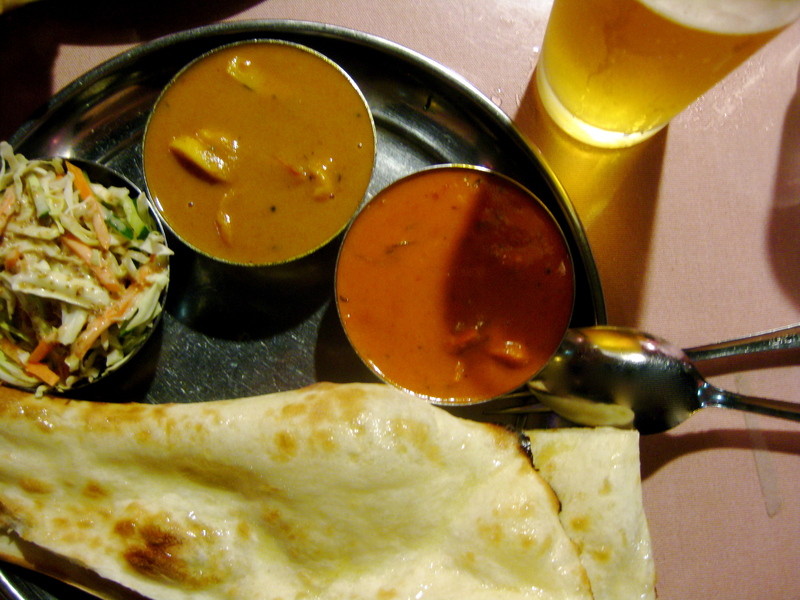 The portions may be small, but they usually range from satisfying to spectacular. 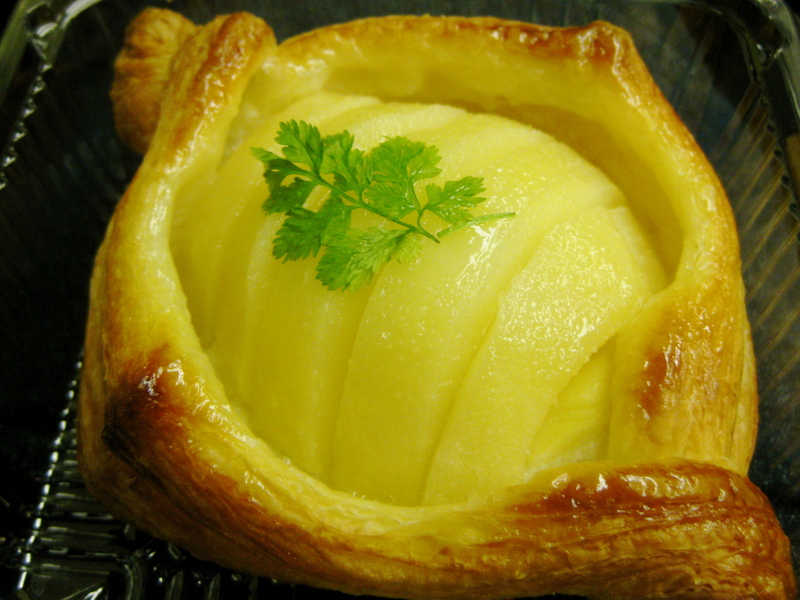 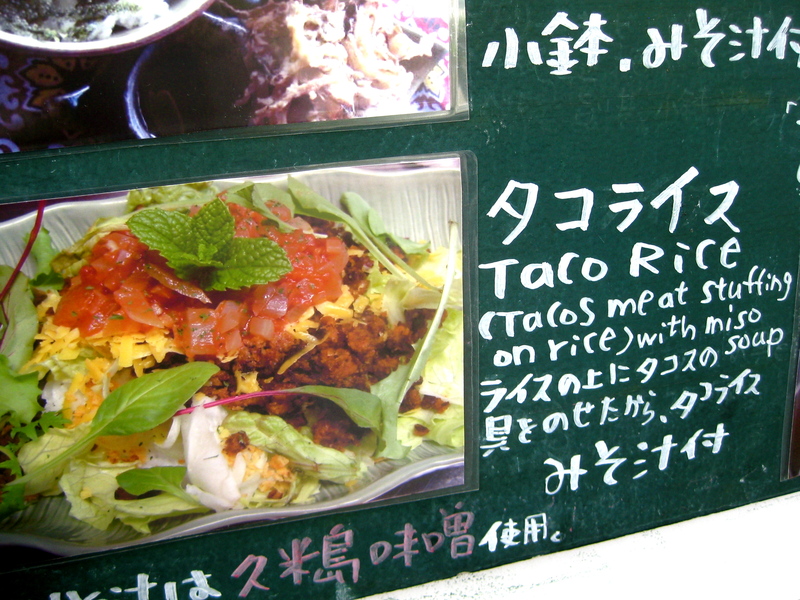 I might, though, want to amend my statement to say that many things also taste a bit different in Japan. 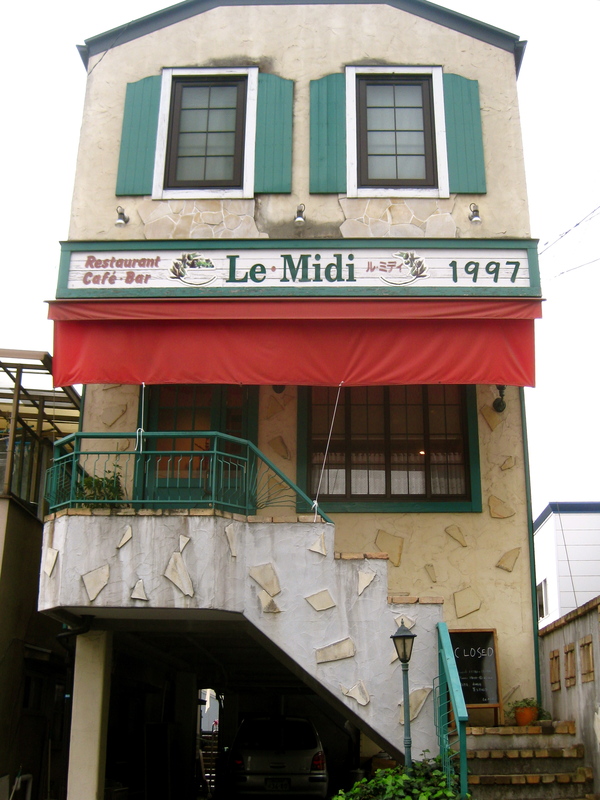 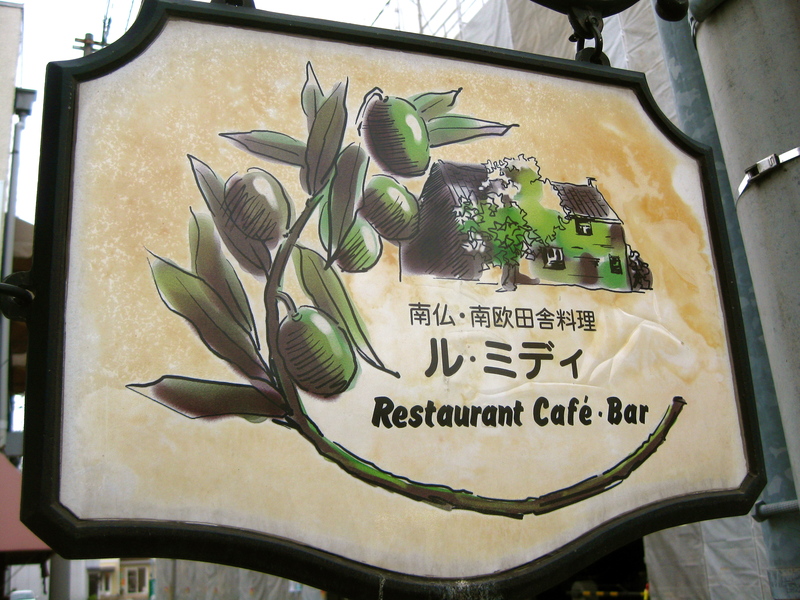 Restaurants often advertise items on their menus as Itaria-fuu (Italian style) or Tai-fuu (Thai style), but I suspect what they really mean is Nihon-fuu Itaria-ryouri (Japanese-style Italian food) or Nihon-fuu Tai-ryouri (Japanese-style Thai food). 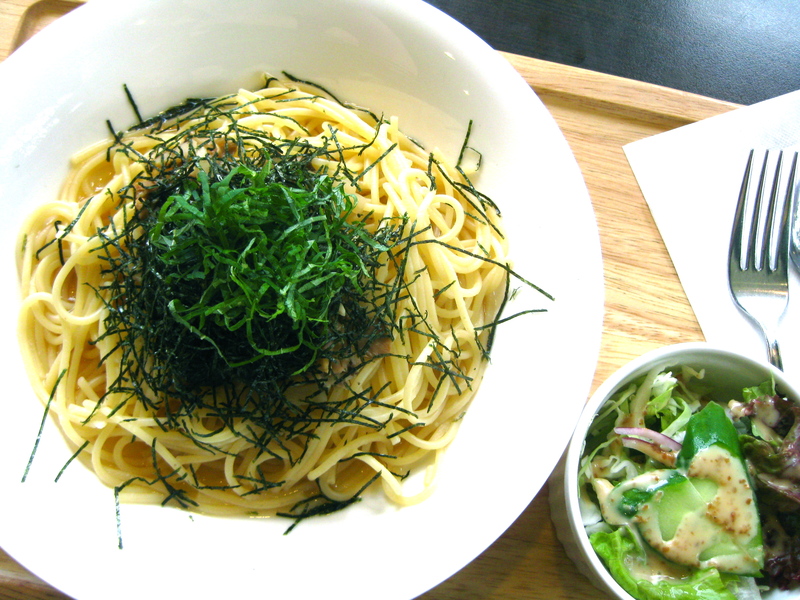 Japanese-style Spaghetti, with mushrooms, seaweed, and shiso. 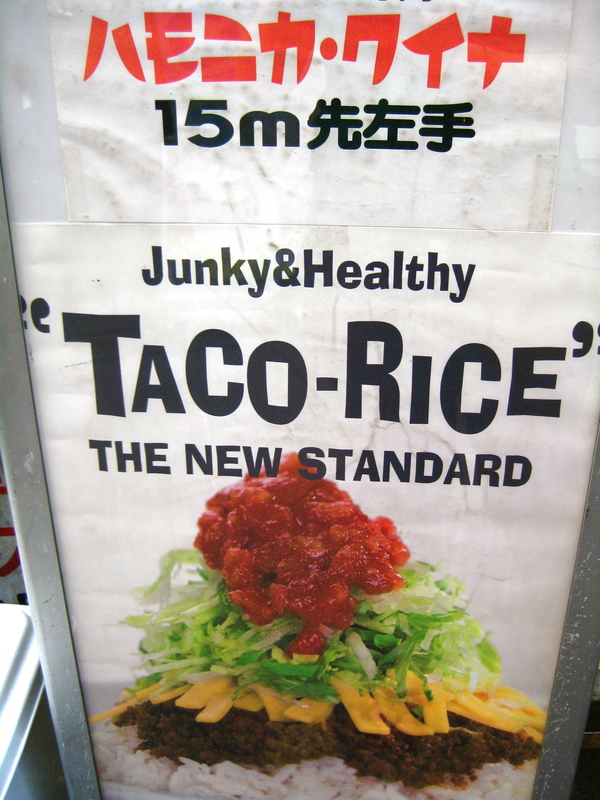 My point, though, is that when something is different, then it becomes impossible to compare and to designate one version or another as better or worse. 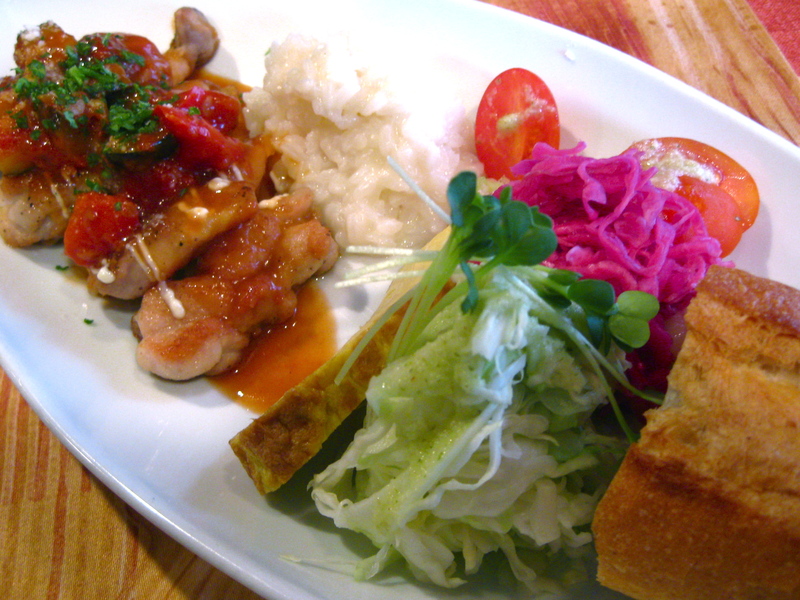 Different is sometimes hilarious, sometimes interesting, and often very very good. 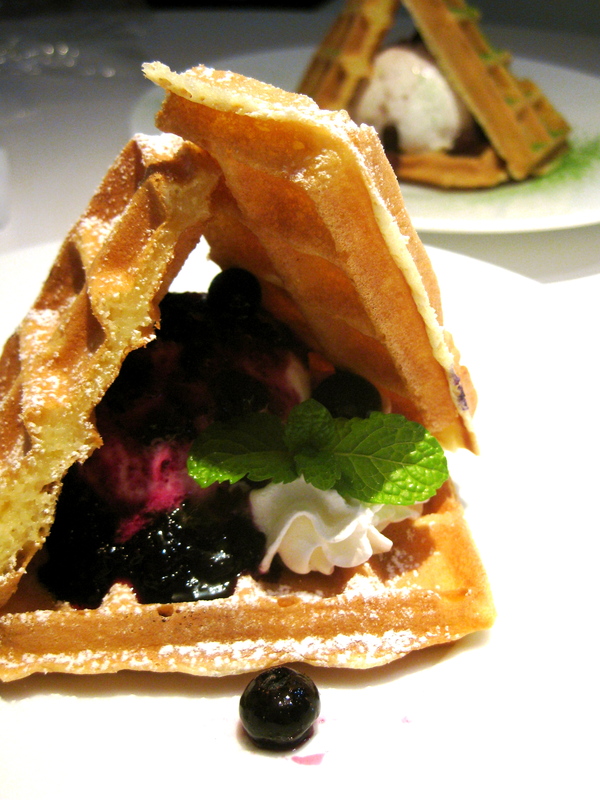 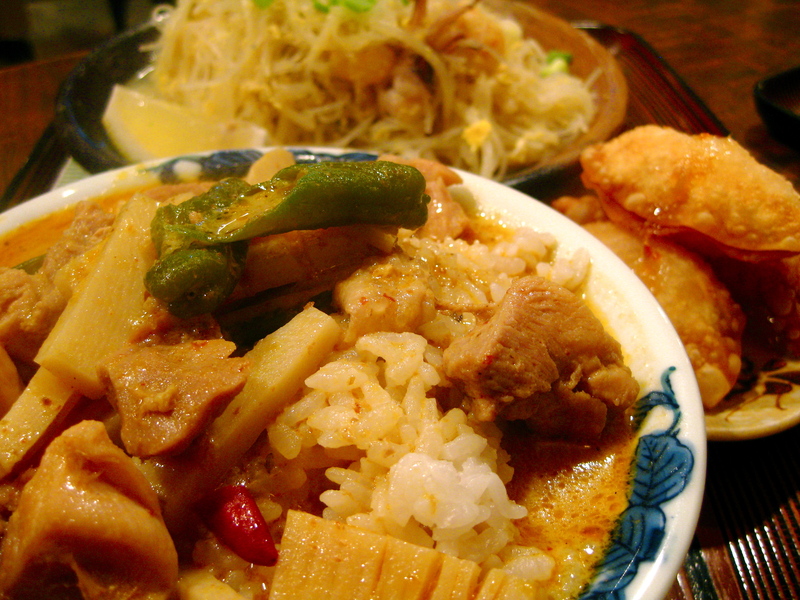 These photos of (Japanese-style) international food may convince you of just that. 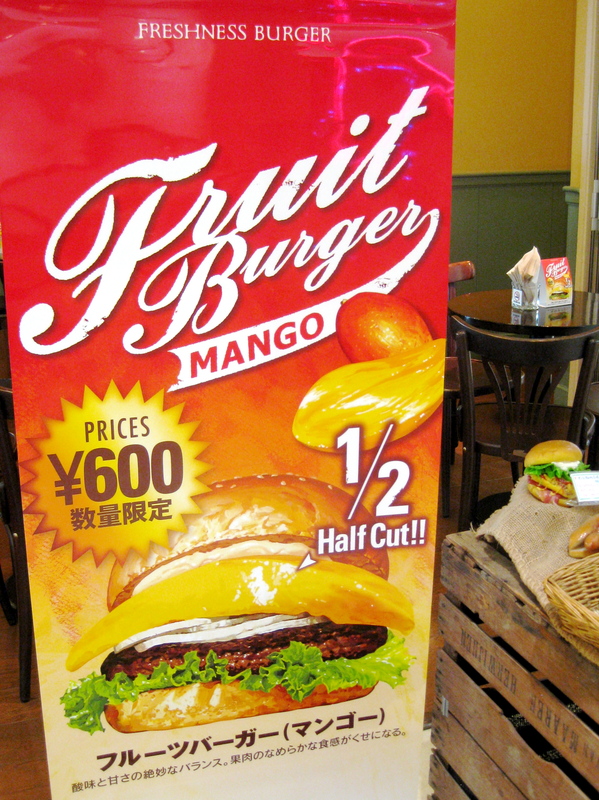 Mango on a “Fruit Burger” at Freshness Burger; “Tacos meat stuffing” on rice. 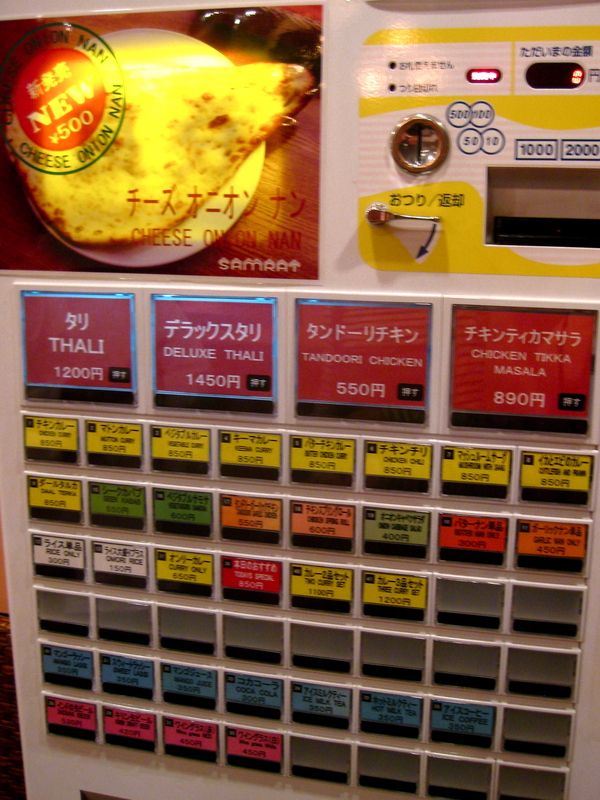 Ticket vending machine for menu items at an Indian restaurant; Curries, naan, and cabbage salad. 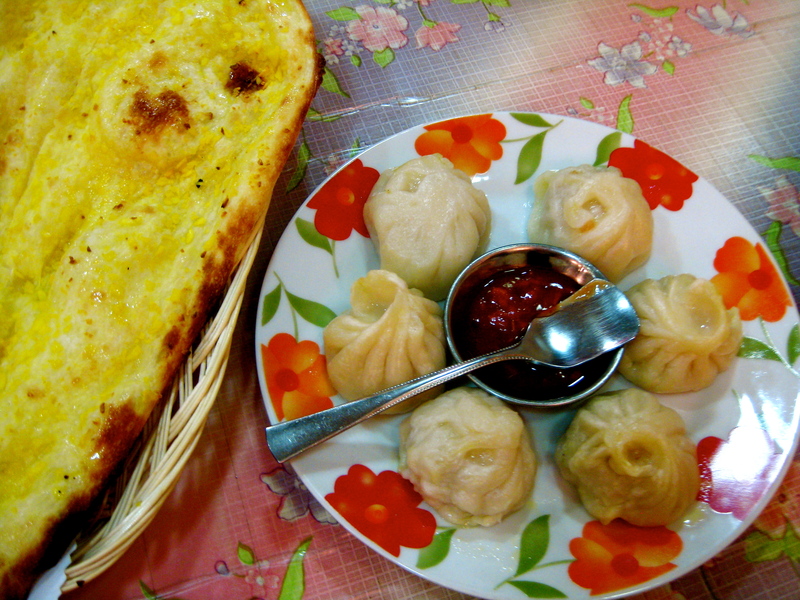 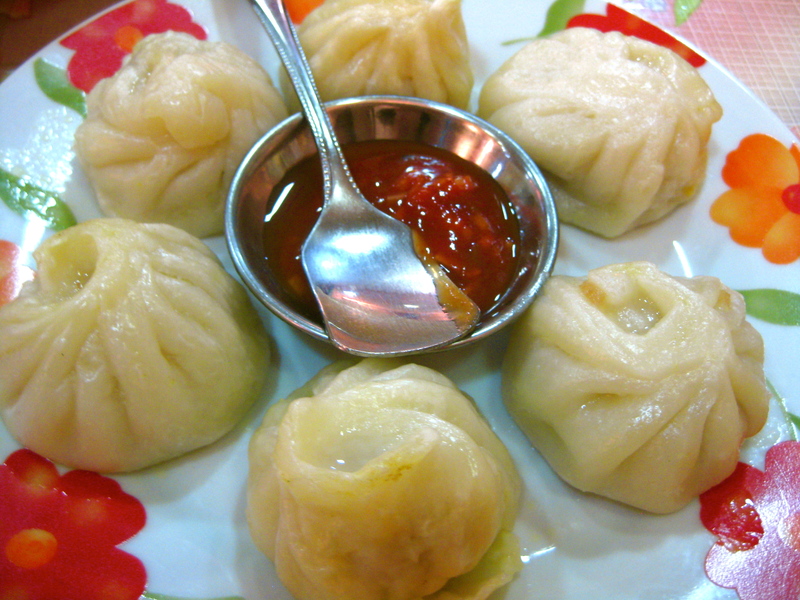 Nepali momos (momocha dumplings) stuffed with chicken (no peanut or cilantro) at an Indian restaurant in Tokuyama (Shunan-shi), Yamaguchi prefecture. 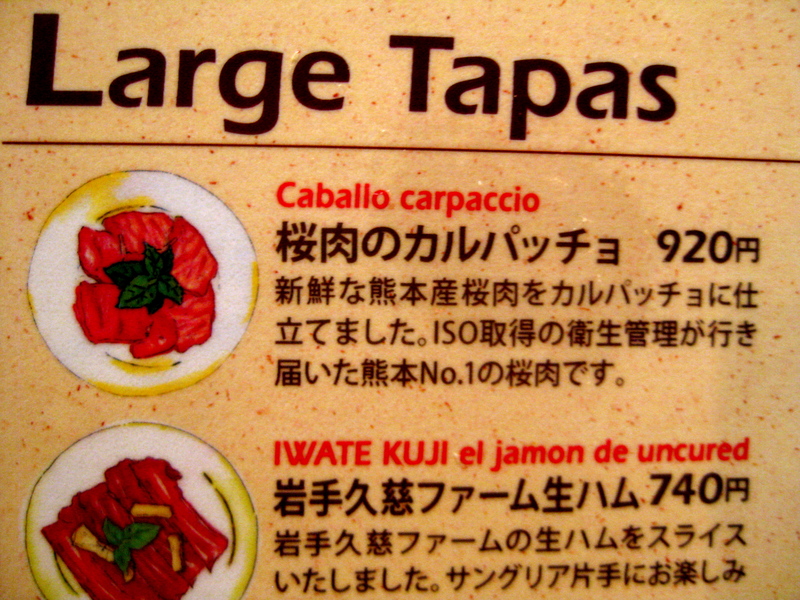 Caballo (Horse) Carpaccio at a Tapas restaurant in Okayama. 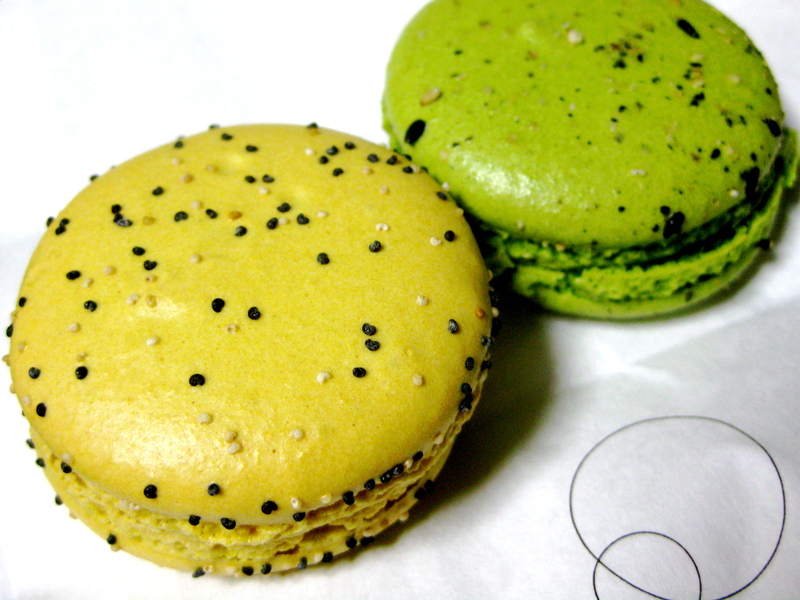 Yuzu- and green tea-flavored macarons, from a French bakery in Kyoto. 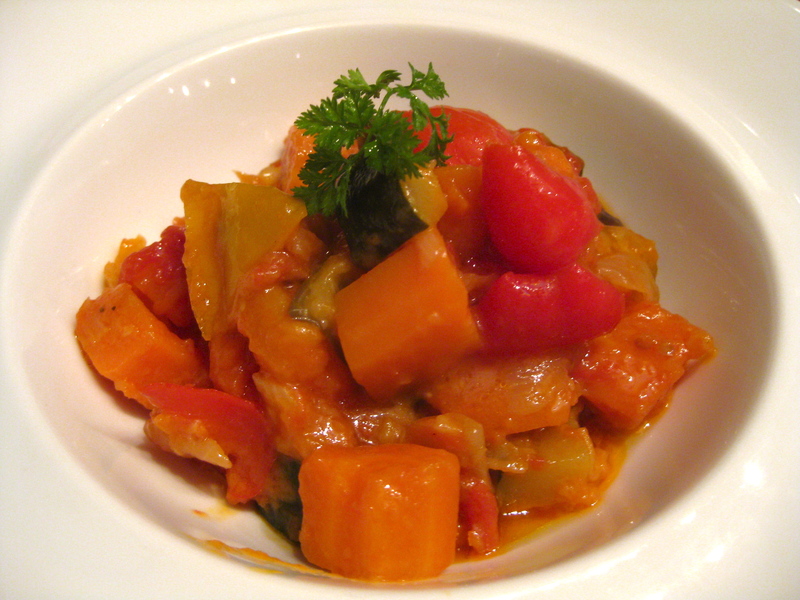 Mostly-carrot ratatouille, at a mostly-Italian restaurant in Okayama. 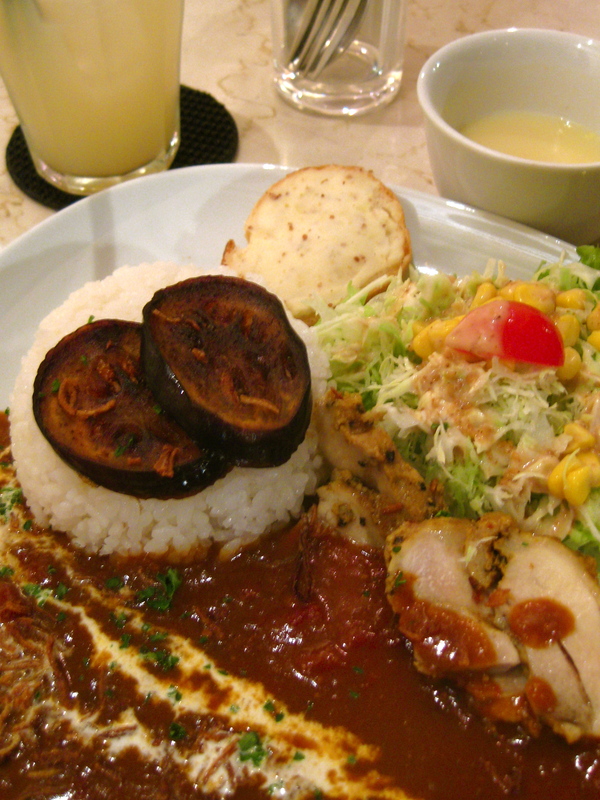 Japanese curry-style Tandoori Chicken curry (and cabbage + corn salad) at a cafe in Okayama. 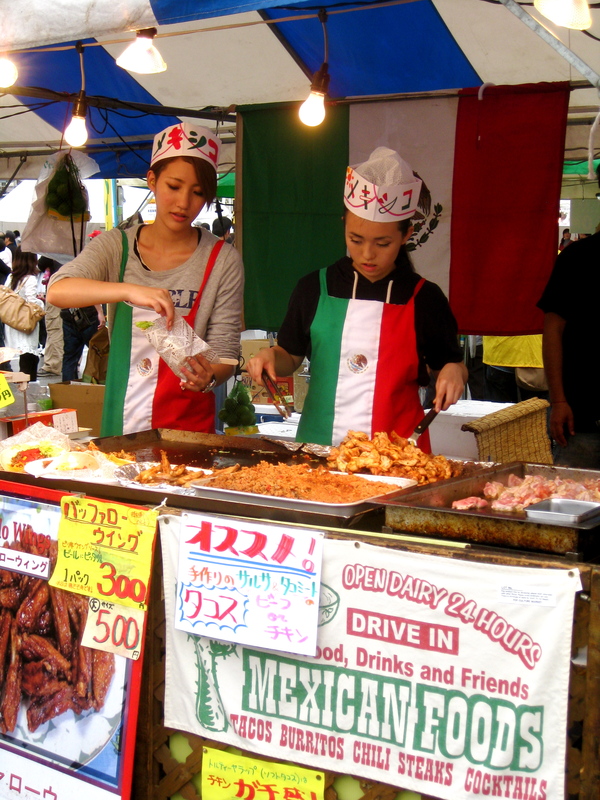 Mexican food stand selling tacos and buffalo wings, among the international food stands at the Ube city festival in Yamaguchi prefecture. 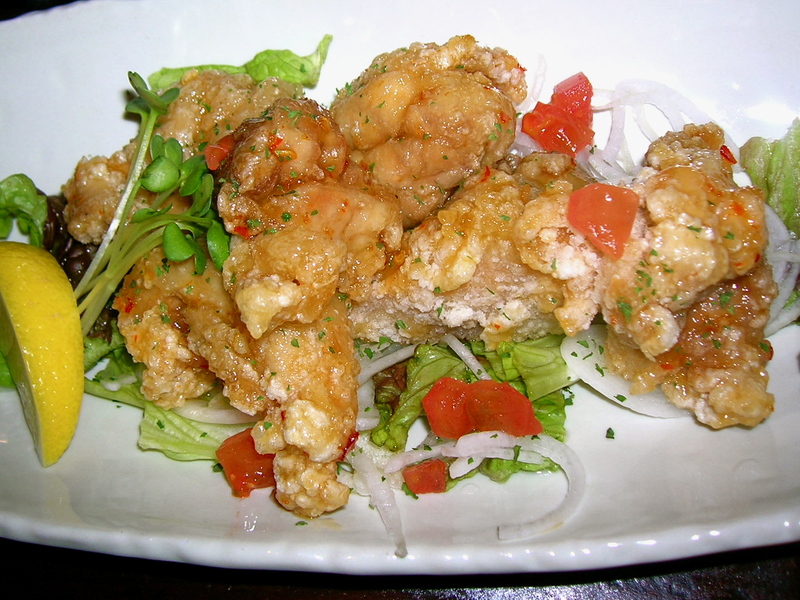 “Thai-style” Japanese karaage (fried chicken) in a sweet chili sauce. 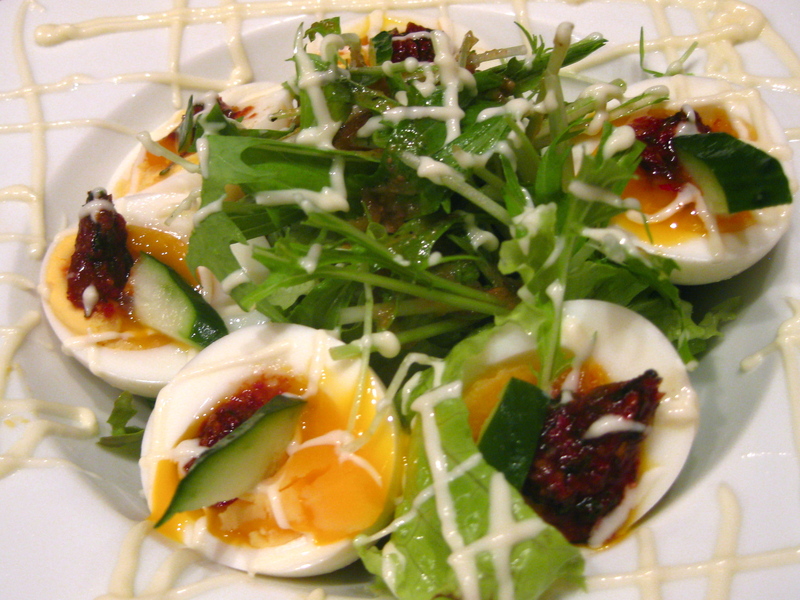 Korean-ish salad with soft-boiled eggs, Korean kochuchang (chili paste), and Japanese mayo. 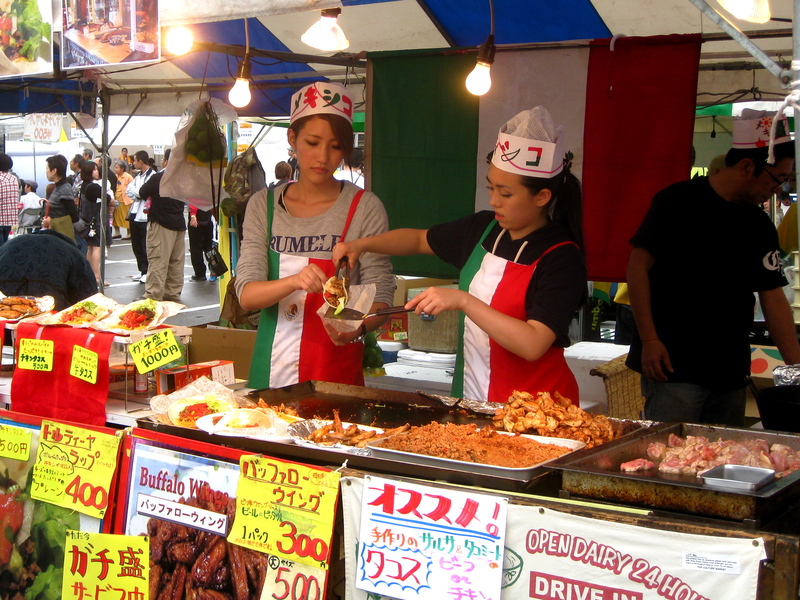 Finally, if you look hard enough– which is not hard at all in Tokyo, you can find food from all over the world that is both authentic and delicious. 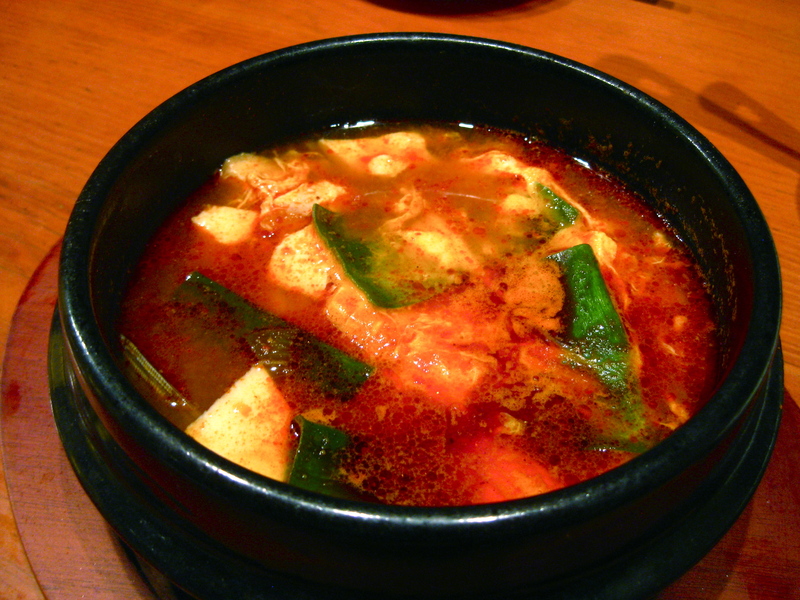 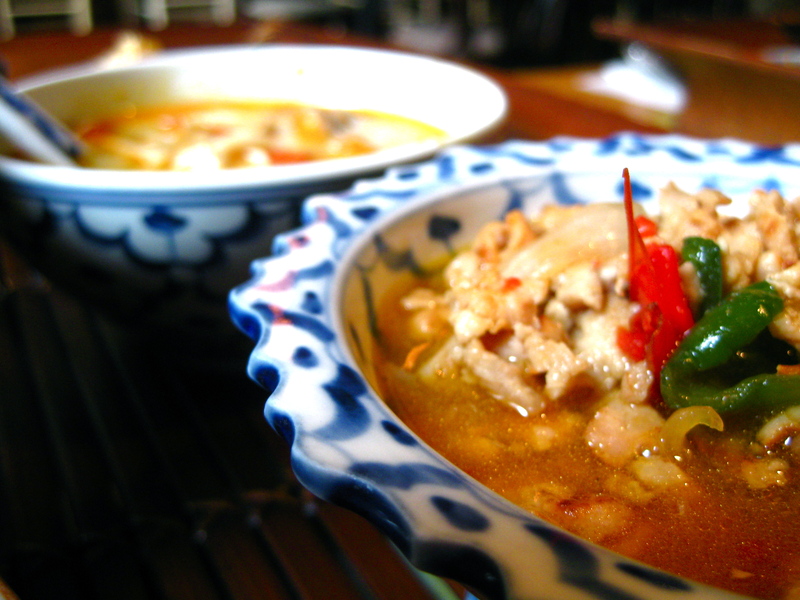 Korean Sundubu Cchigae (soft tofu chili soup) and Hemul Pajon (seafood pancake). 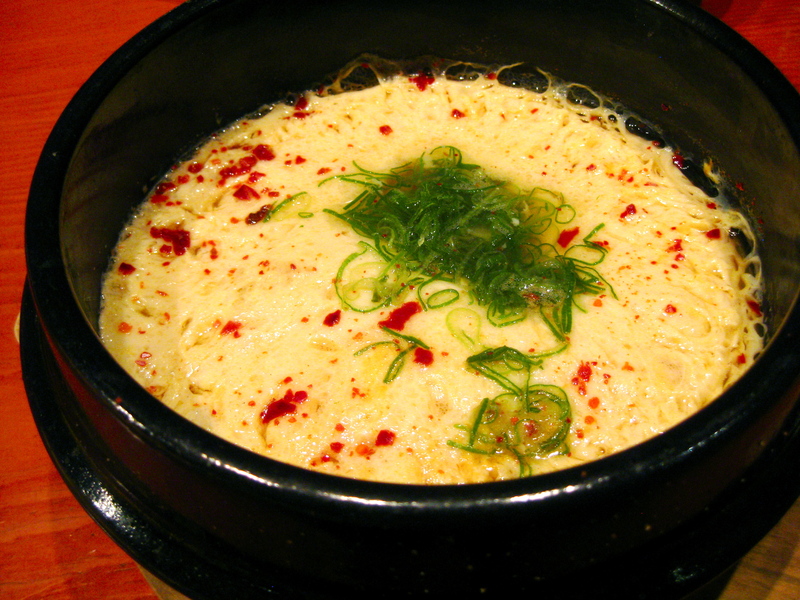 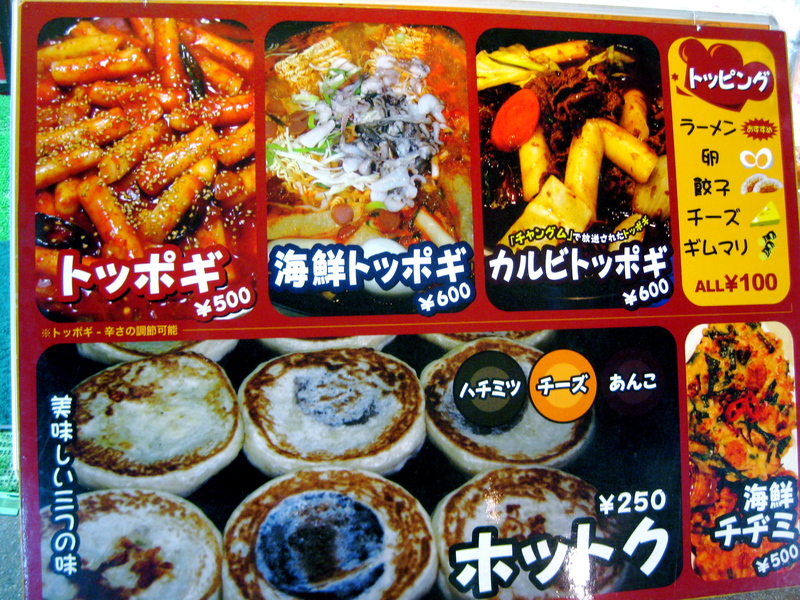 Korean steamed egg, and a sign advertising Korean street food on Ameyoko street in Ueno, Tokyo. 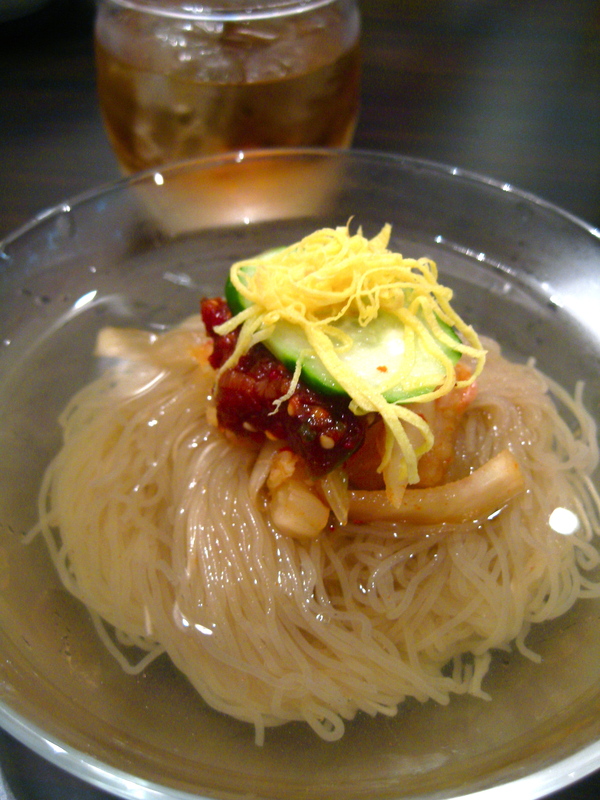 Korean Naengmyon (ice cold noodles), in Tokyo. 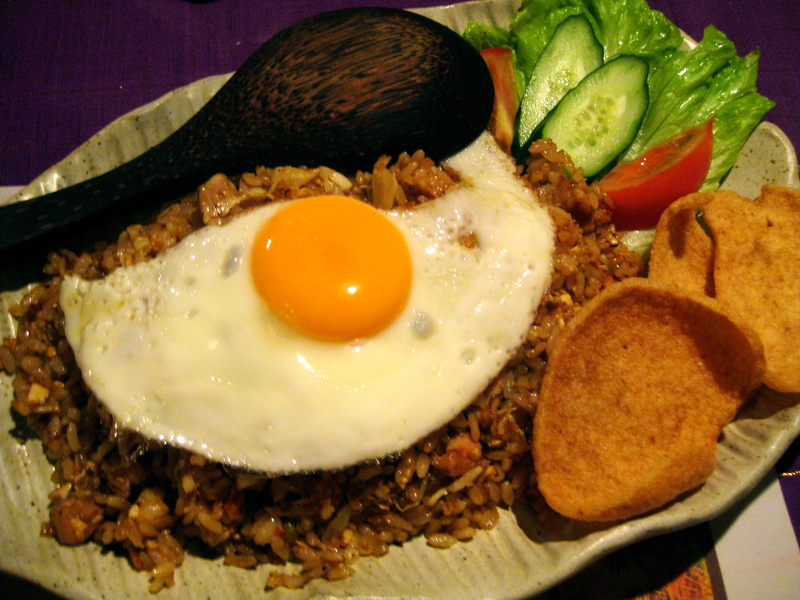 Indonesian nasi goreng (fried rice) with shrimp chips, and deep fried shrimp, in Okayama. 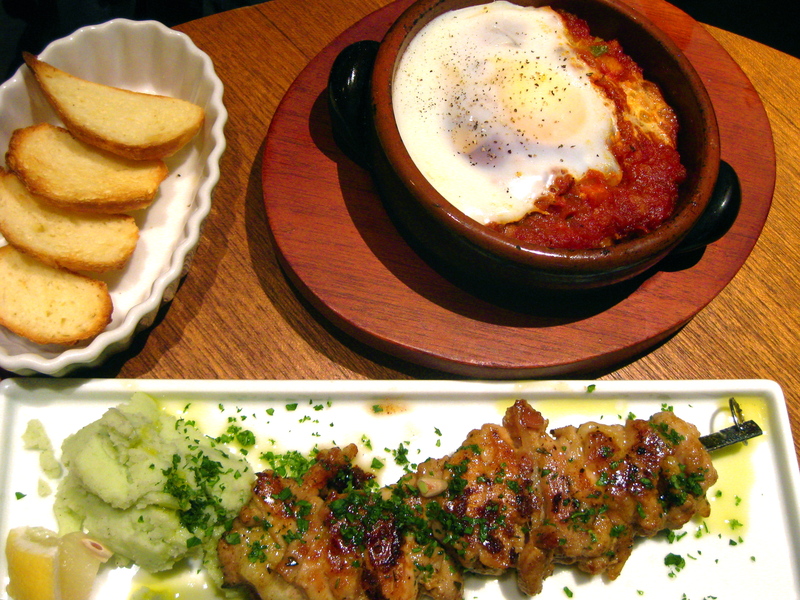 Tapas: squid in garlic olive oil, egg poached in tomato sauce, and skewered grilled chicken. 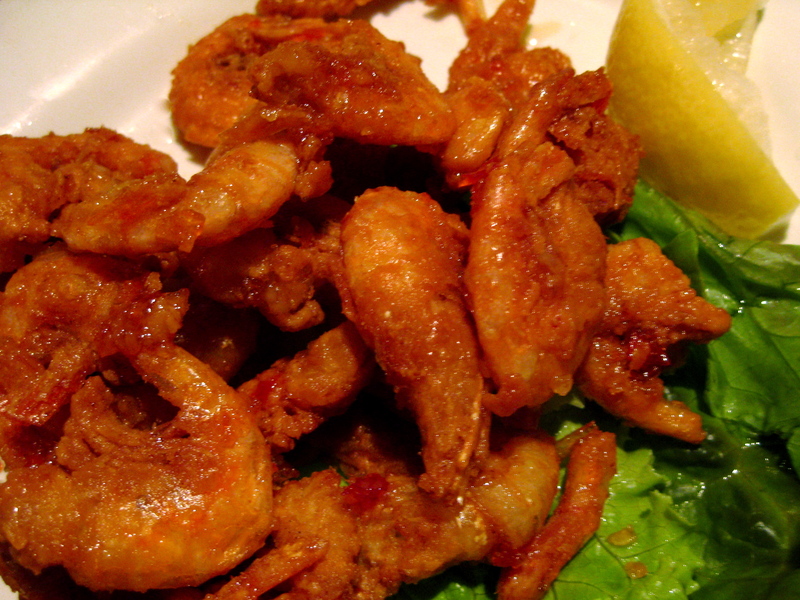 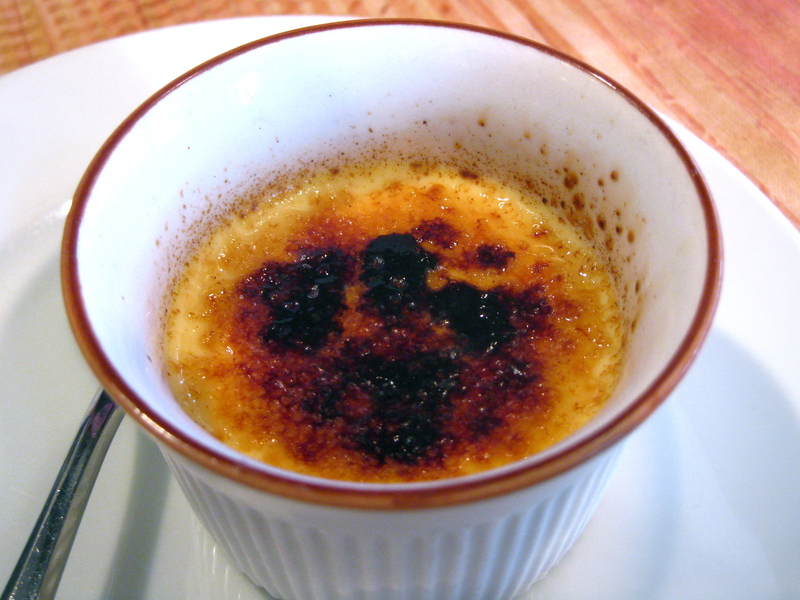 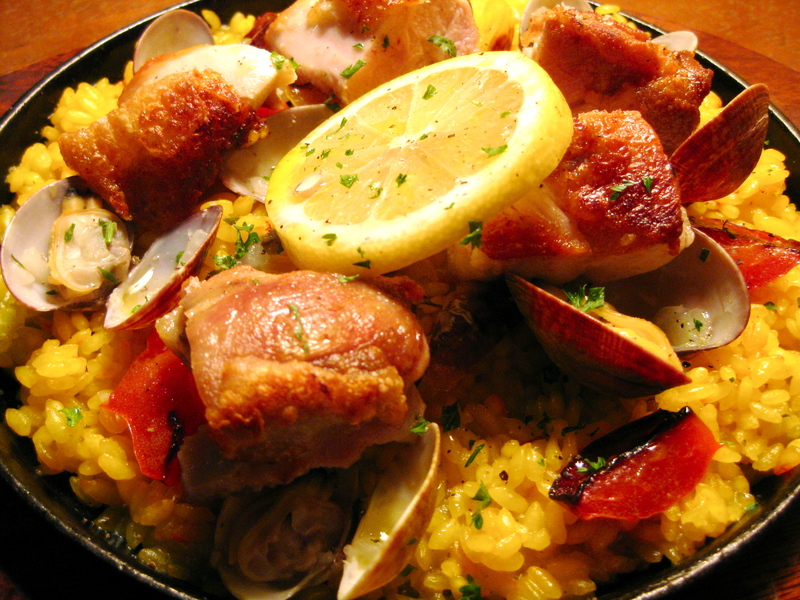 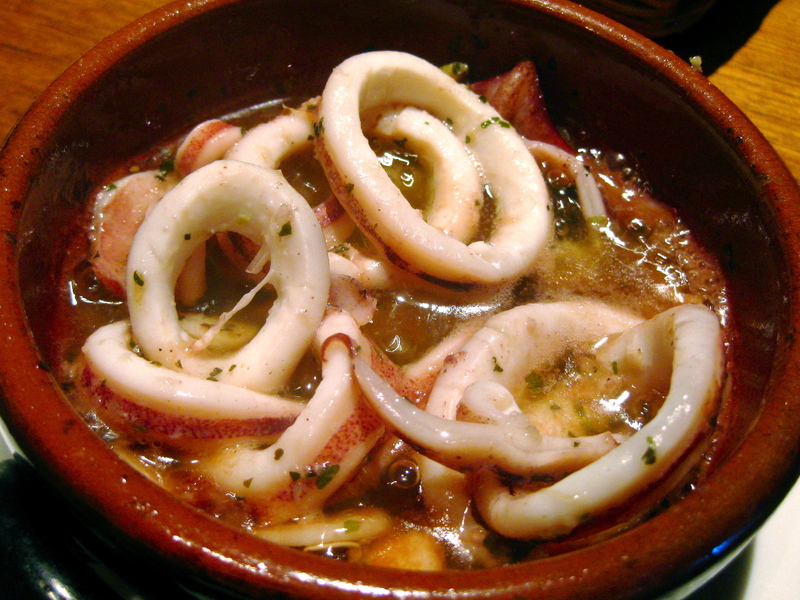 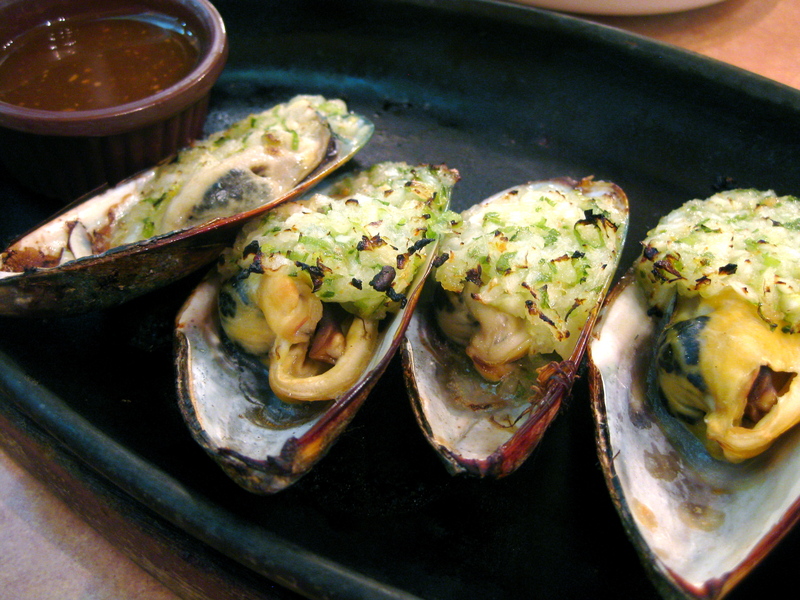 Paella with chicken and shellfish; Churros with a chocolate-pudding-like dipping sauce. 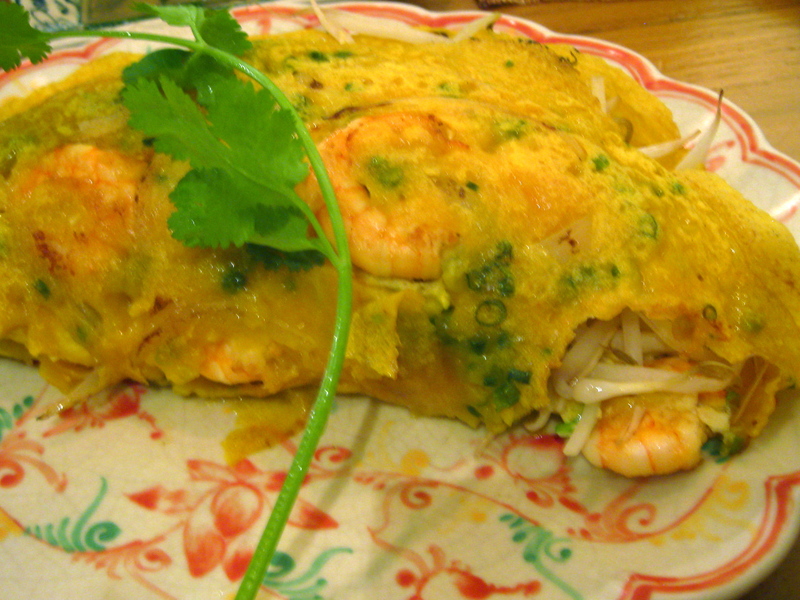 Indian navratan korma curry (and cabbage salad), near Kyoto University; Vietnamese shrimp omelette, in Kyoto. 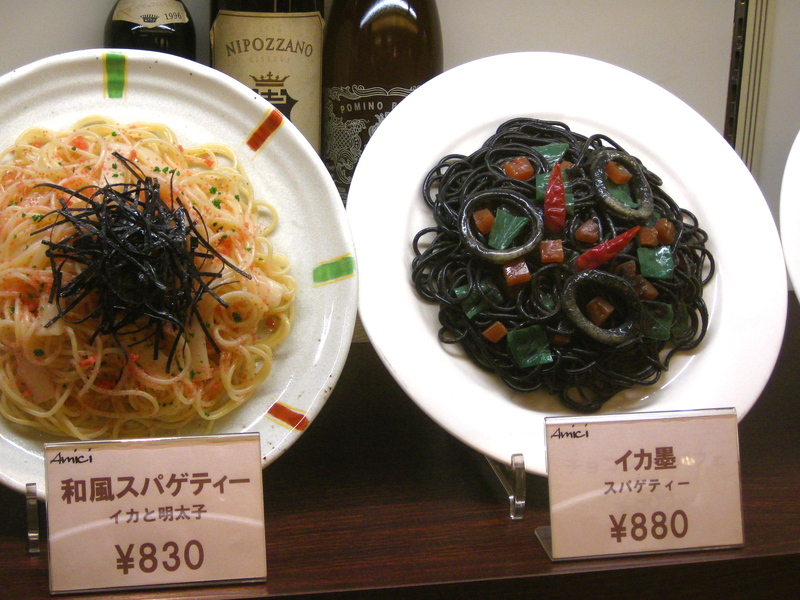 Tiramisu at Cafe Spice in Hiroshima; Plastic pasta on display in a store window (Japanese-style Spaghetti with mentaiko, fish roe; Squid Ink sauce Spaghetti with calamari). 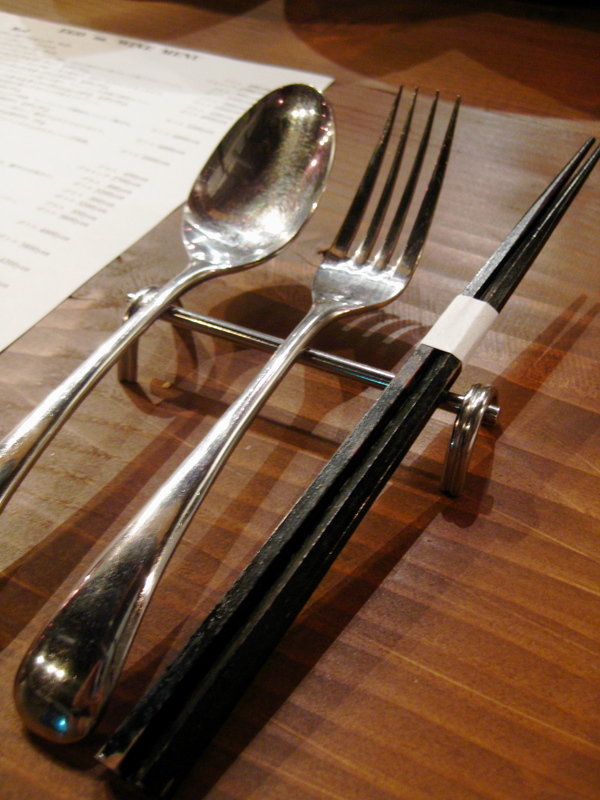 Their lunch sets are absolutely lovely. 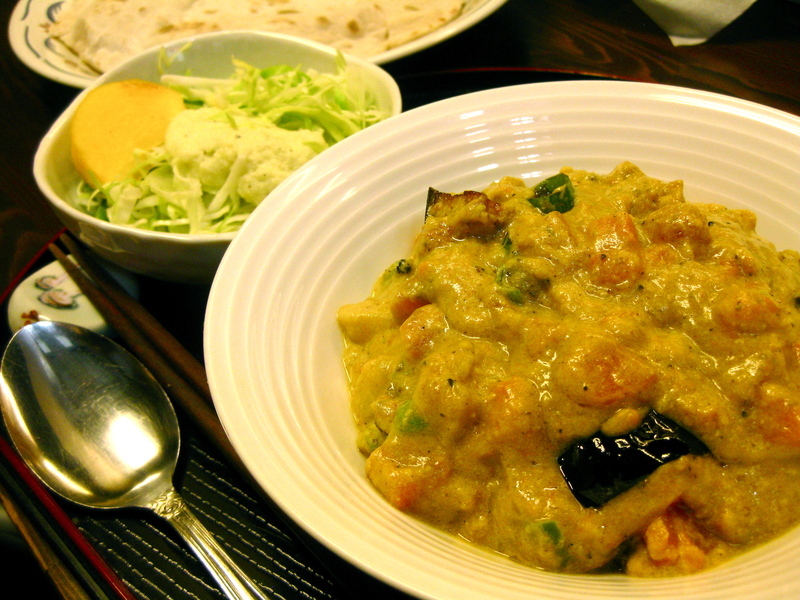 Thai curry at Lemon Grass Restaurant in Hiroshima. 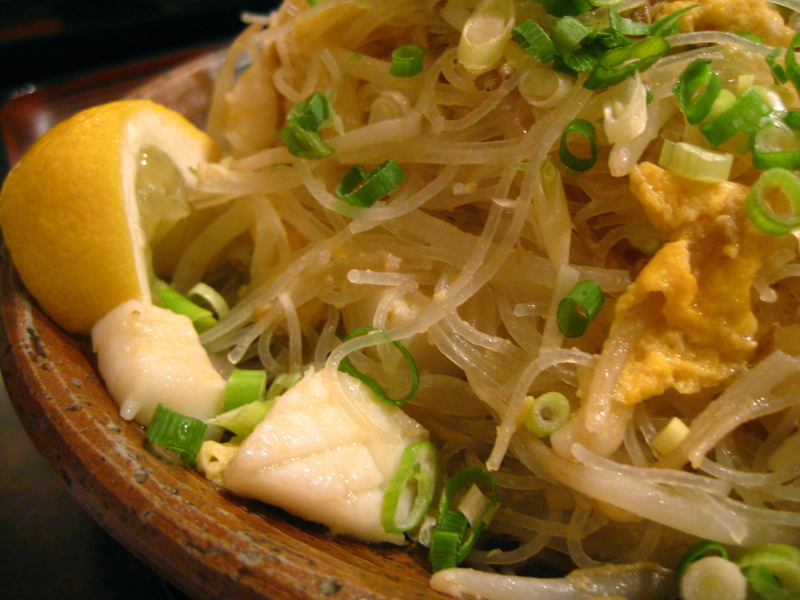 For more Japan photos of actual Japanese food, check out these other posts about sushi/seafood, izakayas/cafes, udon/tofu, and bentos/rice dishes. 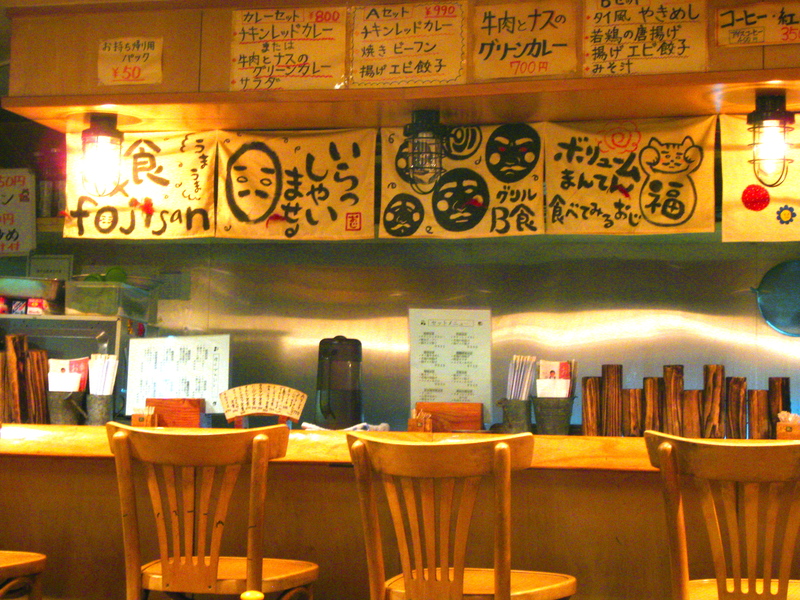 Great photos and articles which describe Japanese culture well. 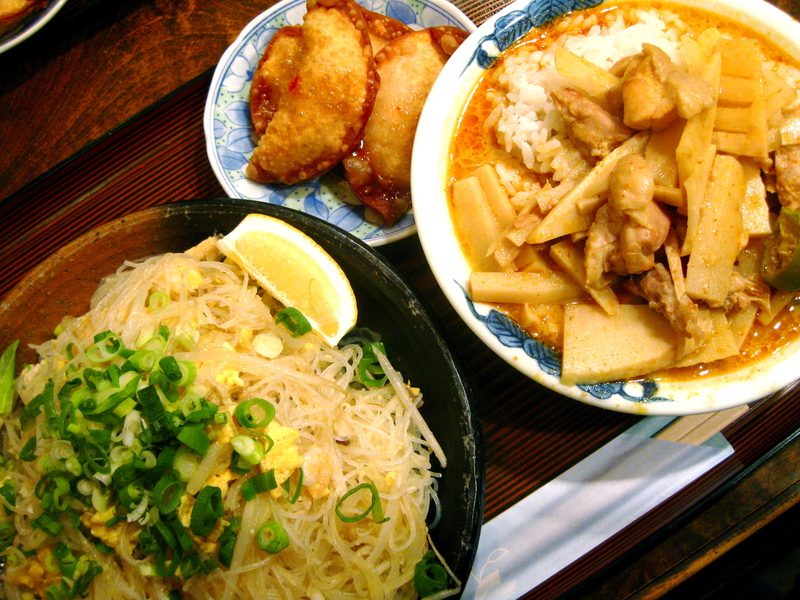 Makes me homesick and hungry.